The first character I want to focus on in To Kill a Mockingbird is Jean Louise Finch or Scout, as she is nicknamed. She is by far my very favorite character in the book perhaps for the main reason that she is such a beloved tomboy. I only hope you love her as much as I do. I may take more than one post to focus on her. She is complex in a way, because she does not think like the average six year old. Scout is a keen observer. She notices people’s actions and personalities. She observes her surroundings, thinks about what she sees and hears, forms her own opinions, and speaks her thoughts and feelings as she sees fit. Sometimes this gets her in trouble even though I think she is genuine when she tries to help people such as her teacher, Miss Caroline Fisher, and her classmate Walter Cunningham. In the second chapter of To Kill a Mockingbird Scout is beginning first grade. We are told she is turning six. Jem is four years older than she is and going in fifth grade. What I want to focus on today is what I think is one of the funniest parts in the novel. In fact, the other day I was reading chapters two and three at the bookstore and beginning to write this post when I almost had to refrain from laughing out loud several times! Harper Lee is a master at showing us Scout’s curious nature and her struggle to understand the new people she encounters. The adult, Jean Louise, begins telling us the story of her first day of school by reminiscing about how she felt one winter day about the prospect of going to school in the fall. Sitting up in a treehouse, she spies on Jem (through a telescope he gave her) as he plays in the schoolyard below. She is desiring to join the playing children. Since he is her only sibling, I imagine she feels lonely without him during the day when he is gone, so she imagines school being fun and feels anxious to get started. The next thing that puzzles Scout is Miss Caroline, her teacher. She reads a strange story to the class which tells about cats who talk and wear clothes. Scout thinks this teacher does not understand the minds of children in Maycomb. She certainly doesn’t read this kind of stuff at home with Atticus. She sits on his lap at night and reads the local newspaper with him. In class she sits and thinks about how she can’t remember a time when she wasn’t reading. Jem told her she was born reading. What I find humorous here, however, is what is going through Scout’s mind while Miss Caroline reads the story. She is so bored she begins to write a letter to her friend, Dill, but when caught by Miss Caroline, she gets scolded for writing! She isn’t supposed to know how to write yet; she is supposed to be learning how to print in first grade. Writing isn’t learned until third grade according to Miss Caroline. By the end of the day Scout is feeling like her teacher should have been nicer to her. She doesn’t understand why Miss Caroline couldn’t reason with her the way Atticus does. In her mind all she was trying to do was help her teacher and a fellow student, Walter, who has lied about forgetting his lunch. Scout tries to tell Miss Caroline that he is a Cunningham and can’t borrow a quarter from her to buy a lunch, because his family doesn’t take things they can’t pay back. Instead of the teacher being grateful for Scout’s enlightening her to Maycomb’s ways, where she herself does not live, she smacks Scout’s hand with a ruler and is told to stand in the corner for all of her disruptions. In the midst of her punishment Scout is rescued by the bell. As she leaves her corner of the room, she stands at the classroom door for a moment noticing how despondent her teacher has become. Scout watches her sink down in her chair and thinks to herself “Had her conduct been more friendly toward me, I would have felt sorry for her. She was a pretty little thing.” (3) So on this funny note chapter two ends. Chapter three opens with Scout attacking Walter Cunningham in the schoolyard, because she thinks he caused her to “…start off on the wrong foot” (4) with the teacher. Jem tells her to leave him alone and invites him to dinner at their house. This mortifies Scout, and she gets more scolding from Calpurnia at home for being rude to him about pouring syrup all over his plate of food while he’s there. By the end of her long day of frustrations and scolding, Scout is feeling apprehensive about reading with Atticus like she usually does. He notices her mood and proceeds to find out about how badly her first day at school went when she tells him she doesn’t want to go back. 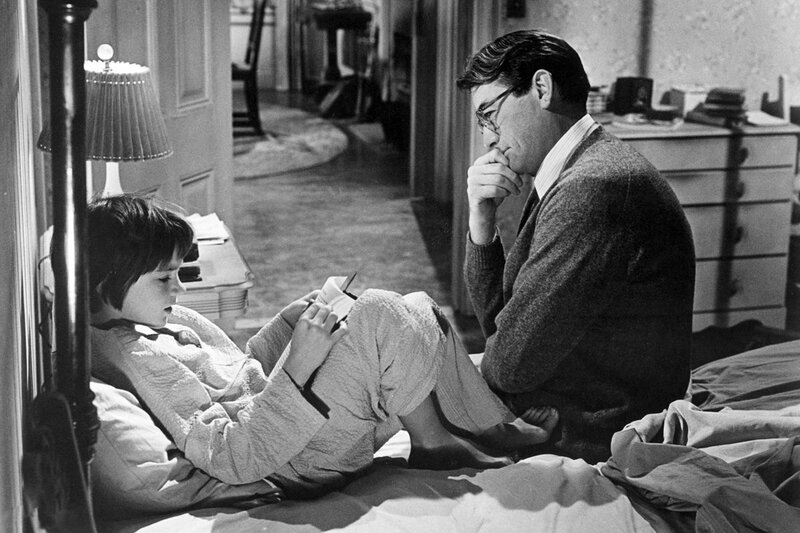 She learns that she has to go back, because Atticus can’t teach her full-time; he has to work. This is when he tells her something that becomes a significant theme in the novel. So begins Scout’s journey towards learning how to see things through the eyes of others and put herself in their shoes before she makes snap judgments about them. So begins her journey in growing up. Until next Monday, have a wonderful week, and give someone you love a big hug. Posted on February 2, 2015, in Writing and tagged Atticus, Harper Lee, hug, Mockingbird Mondays, Part #1, Part #2, part #4, Part #5, Part #8, Part 6, Part 7, reading, Scout, To Kill a Mockingbird, writing. Bookmark the permalink. 8 Comments. It is! And that’s true! I am at the part where Jem just built his first snowman. I had totally forgotten about the snow they had that the kids had never seen! 🙂 I can’t remember how old I was the first time I saw snow, but it was in Georgia in the 60’s and it was RARE! Oh thank you, Sherri! I just heard that a book she wrote many years ago that is supposed to be a sequel to To Kill a Mockingbird is set to be released in July this year. Scout is supposed to be 20 years older in it, I think. Amazing. Thanks, Sherri. I just hope the media is getting it right that Harper Lee actually consented to all of this. I read an article that took the slant of saying it’s possible he got her to sign papers “okaying” its publication, but that she might not realize what she did. I sure hope that is NOT the case! I really can’t wait to read it, but at the same time, I think the one novel from her was enough as she as said in the past. Very mixed feelings here. Yeah, I hopt not, too. However, I don’t think that will happen. From articles George has read that I am going to find now, he said she seems to know what is going on and is thrilled about it. On the other hand, though, anyone in the media can say anything “she said” and then fill in the blank, right?